"Michelle was amazing ! Could not have asked for a better agent. I can be a little difficult to work with and she was just great. My house was sold in less than 1 day. Listed closed and moved into my new house in 30 days. She was on top of everything. Always answered a call or text no matter when it was sent! Would definitely recommend her to anyone ! A+++++++++"
"I didn't want to sell for no other reason than I have no idea what I am doing and it was intimidating. If every real estate agent was like Mrs. Michelle then no one would ever feel that way. I spoke with her and about 7284 other real estate agents. She made sense. Before I could ask a question, she gave me the answers. Before I could get nervous about the process, she resolved the potential concerns. Before I could get frustrated, she made the process easy. I am selling my home in Kansas because I moved to Texas and Mrs. Michelle found a buyer, helped me negotiate, did all of the paperwork, helped with repair facilitation, and did some painting herself! I literally had to do nothing. If Santa Claus was a real estate agent, he would take lessons from Mrs. Michelle." "Very energetic person! Michelle was eager to pre list our house so it was view able to the market early. She had a staging specialist come in and give us ideas to help present the house the best way possible. Her knowledge of the local area market was impeccable and spot on. Due to her energetic attitude and eagerness to help there were four schedule showings for the next day just hours of the house going on the market. Resulting in full asking price contract in one day. During the process she was always available for questions and got answers quickly. We would defiantly recommend her." "Michelle was excellent! She helped us through the entire process. From getting preapproved to signing the paperwork for the house, she made it all simple and pleasant. 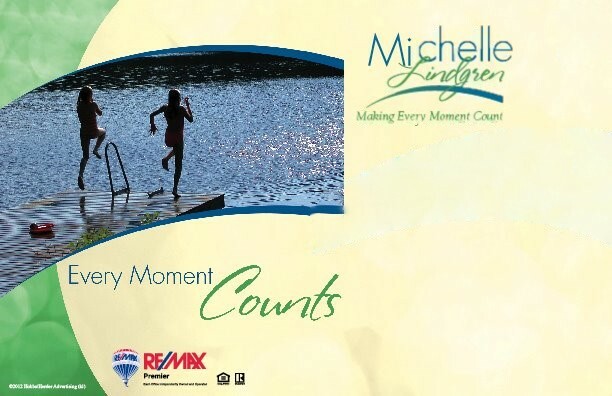 If your looking for a realtor I highly recommend Michelle! Thank you Michelle!" "Michelle was on the ball. We looked at several properties before placing our bid on the one we are now the proud new owners of. This house is located exactly where we wanted. The mortgage is perfect, and the timing couldn't of been better. Thank you so much Michelle." "Michelle was great to work with. She was very patient with us and willing to answer all of our questions. If I ever buy another house she will be the first person I call!" "Michelle really listened to my comments and concerns about the things that were important to me in finding the right home. For my situation, I was trying to stay within my budget and to find a home that met most of my needs. To make the situation more demanding, I am a transfer to Kansas from Cleveland so I really relied on Michelle's native insight to the area and her vast knowledge on neighborhoods and the amenities close by (stores, restaurants,..). I was also downsizing my home while trying to keep every piece of furniture my wife held dear. Oh yes, my wife decided to trust my judgment and stay back home to sell our house. The home I purchase is in a great neighborhood, with sidewalks, on the water, formal dining room, family room with walkout, large bedrooms, and great views. I purchased the first house Michelle had in mind for me after listening to the key aspects I wanted. Of course being a man, I still had to circling around Wichita looking at many homes and countless hours on Zillow before coming back to Michelle's first pick for me."